Visiting London during this time of the year or living in the capital is something incredible and truly amazing. I remember when I used to walk down Oxford Street only to admire the stunning decorations and check out the crazy lights of the shops. After a careful Instagram research, I can now tell you which are the top 10 lights and decorations you must check this Christmas! With over 200 million visitors a year, more than 300 shops and 5 million square feet of retail space, Oxford Street lays claim to being London’s busiest street. If you’re only in the mood to visit one set of Christmas lights, this is the one to go to! 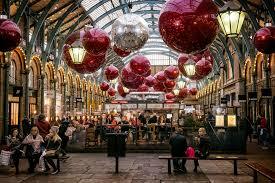 If you are browsing for Christmas lights, you also must head to Carnaby Street. A pleasure to the eye in every period of the year, during Christmas it really gives its best. This year, they’ve gone for a Queen theme celebrating the new Bohemian Rhapsody film. Covent Garden never does small things and for this Christmas, it features 40 magnificent chandeliers (from 2.5 to 3.5 metres!). The historic Market Building is also home to more than 320 metres of garlands. The Piazza hosts London’s biggest Christmas tree. Roger Daltrey CBE, from legendary rock band The Who, was the one switching on the lights in Marylebone Village a couple of weeks ago. Were you there?? The "Merry Marylebone Christmas" sees retailers, hoteliers and cultural landmarks come together to celebrate six weeks of festivities. 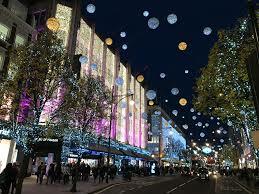 Like Oxford Street, Regent Street is another must to check the Christmas lights. This year, there are beautiful suspended spirits, inspired by Regent Street’s very first Christmas lights scheme (back in 1954). 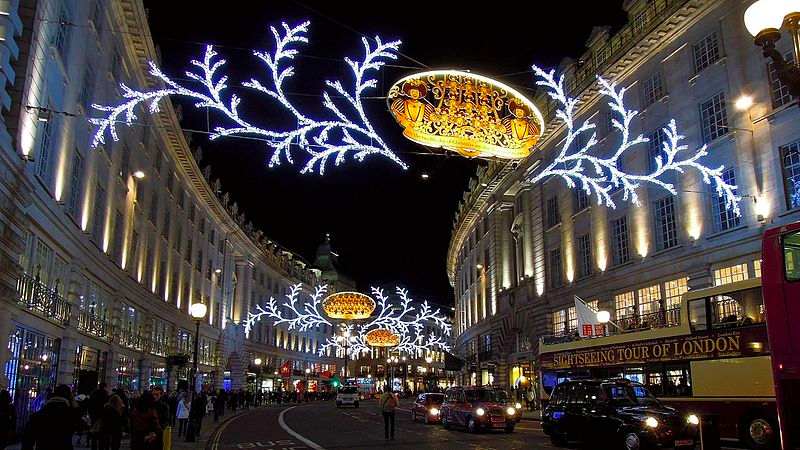 The Christmas lights run the length of Regent Street and across Piccadilly into St James’s, finishing at Waterloo Place. It counts 300,000 sparkling LED lights! Since November 21st, the spectacular Greenwich lantern at the Greenwich Market have been attracting locals and tourists alike. It's a beautiful part of town and I'm sure you'll find lots of great Christmas presents while admiring the lights and browsing the stalls. And you? Where will you be celebrating Christmas this year?